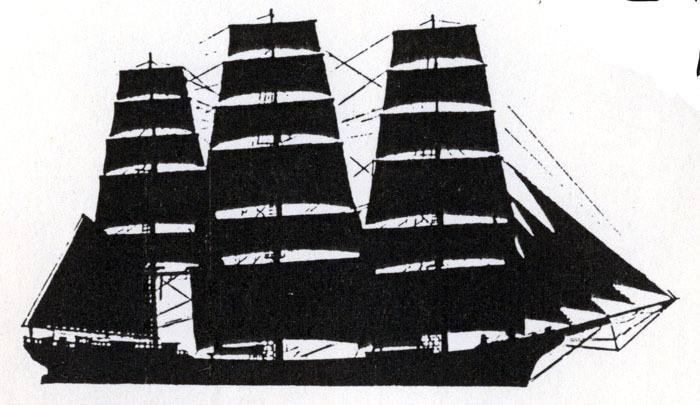 A ship has three masts, all three square-rigged. 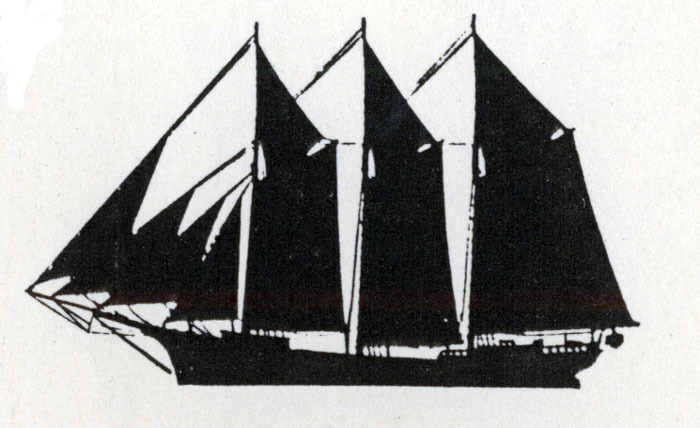 This was the typical rig for clipper ships, Down Easters, and other sailing vessels in the deep sea trades. 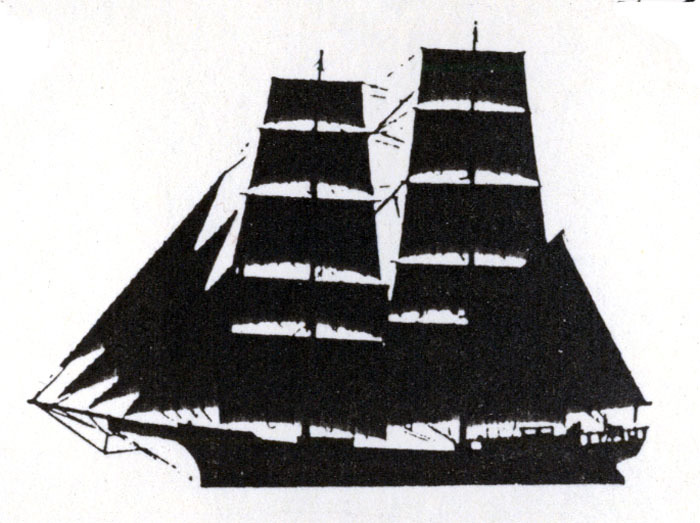 A brig has two masts, both square-rigged. This diagram illustrates how the moon appears to move through the stars. It shows that there is a difference between the measured altitude of the moon and its actual altitude, due to atmospheric refraction. Locations of the moon are shown at 3 and 6 hours, to show its actual position as given in the Nautical Almanac, and that its observed position must be interpolated between the given positions. 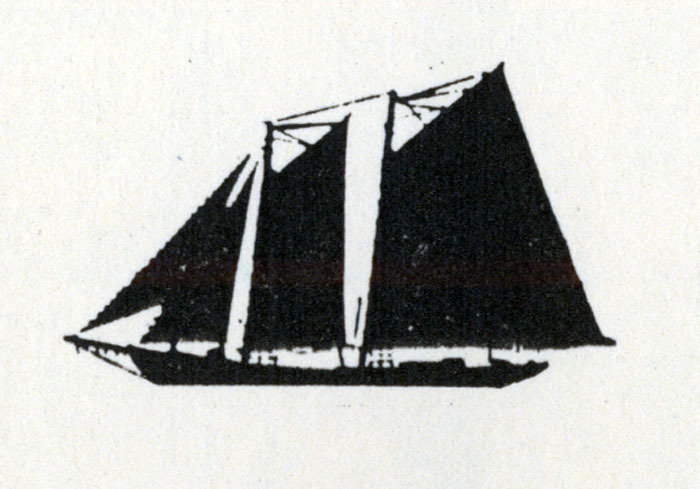 From: Man is Not Lost; A Record of Two Hundred Years of Navigation with the Nautical Almanac, 1767-1967, p. 7. 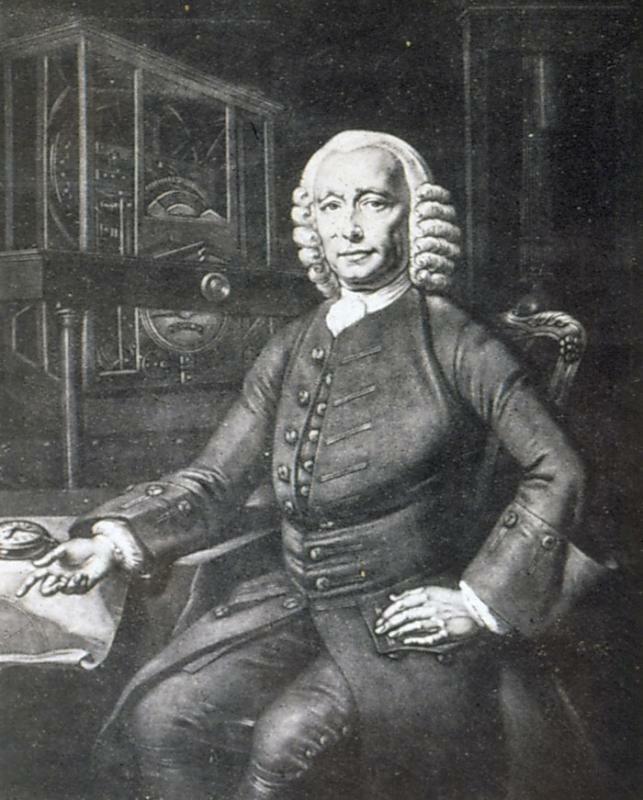 John Harrison (1693-1776) was the English clockmaker who designed and built the first successful chronometers, clocks accurate enough to take to sea to measure longitude. 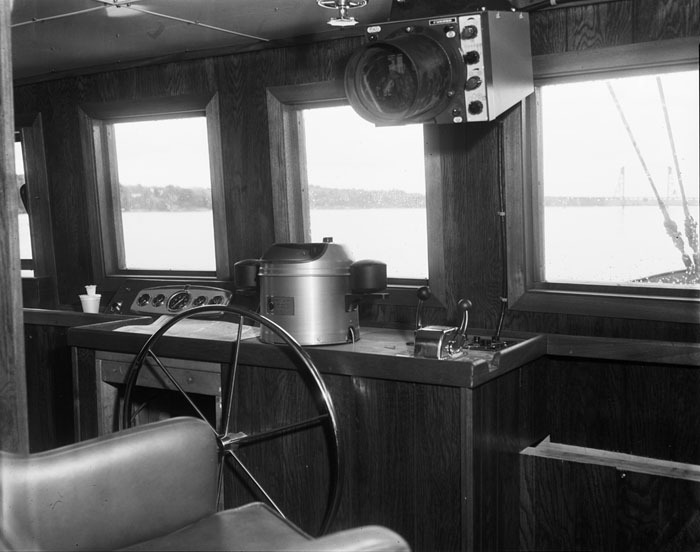 He began his work in 1730 with the first sea trial in 1736. After 5 versions of his chronometer, he satisfied Britain's Board of Longitude government, earning some 23,000 pounds which he had recieved in increments as partial payments for various versions. The Board never did award him their full 20,000 pound prize. 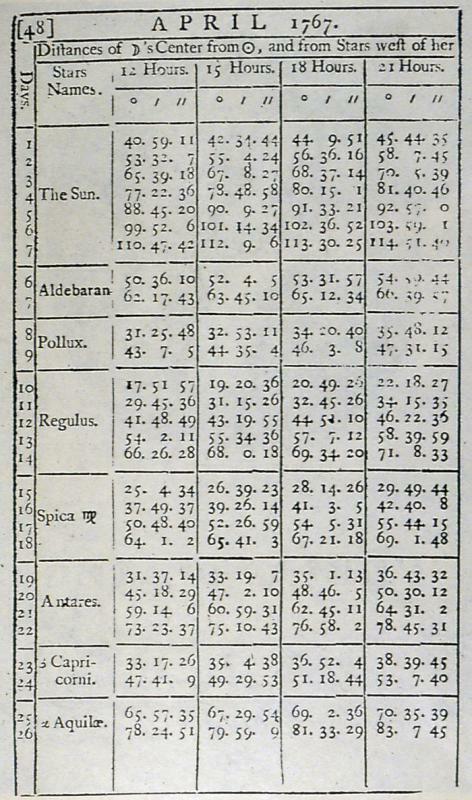 The Astronomer Royal, Nevil Maskelyne, is credited with checking and publishing calculated positions of the moon in the first British Nautical Almanac, in 1767. 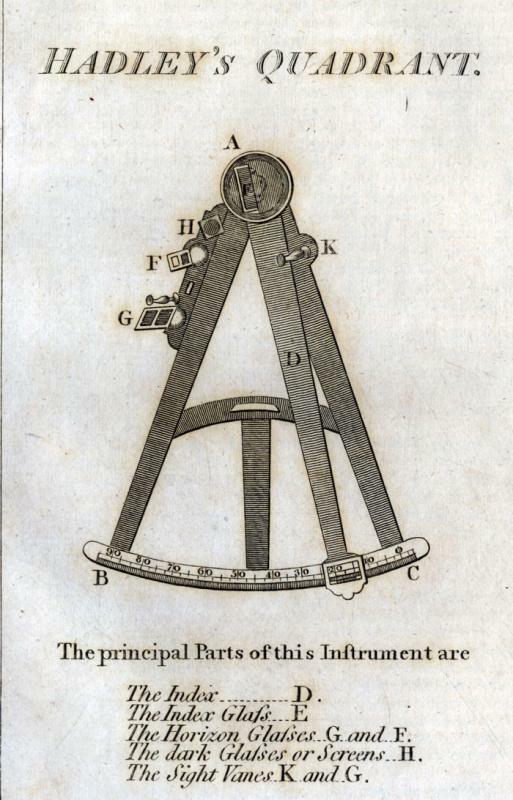 The Lunar Distances tables were fundamental to the finding of longitude at sea without a chronometer. 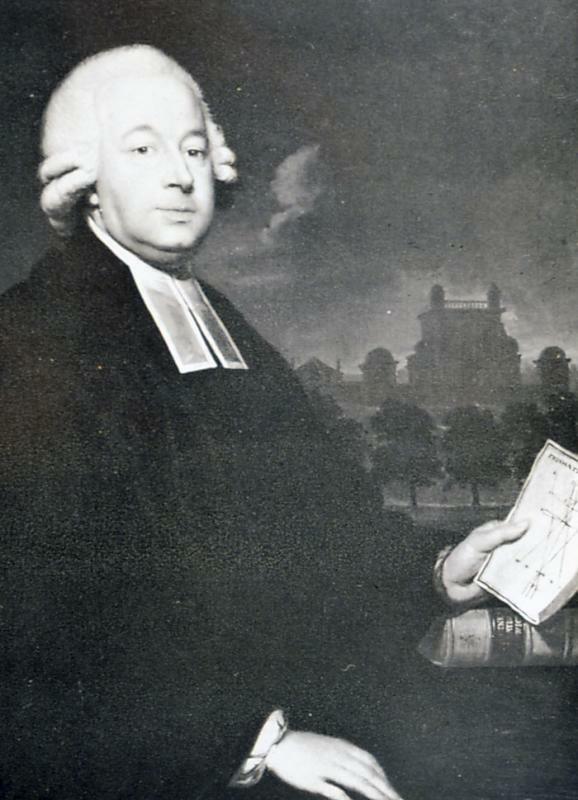 Astronomer Royal Nevil Maskelyne is credited for checking and publishing calculated positions of the moon in the first British Nautical Almanac, in 1767. The Lunar Distances tables were fundamental to the finding of longitude at sea without a chronometer.